Understand medical and financial powers of attorney and why you need to prepare both. What if an accident or illness -- or simply the effects of aging -- left you unable to tell your doctors what kind of medical treatment you want, or made it impossible to manage your financial affairs? No one likes to consider such grim possibilities, but the truth is that almost every family will eventually face this kind of difficulty. While medical and financial powers of attorney can't prevent accidents or keep you young, they can certainly make life easier for you and your family if times get tough. With a valid power of attorney, the trusted person you name will be legally permitted to take care of important matters for you -- for example, paying your bills, managing your investments, or directing your medical care -- if you are unable to do so yourself. Taking the time to make these documents is well worth the small effort it will take. If you haven't made durable powers of attorney and something happens to you, your loved ones may have to go to court to get the authority to handle your affairs. To cover all of the issues that matter to you, you'll probably need two separate documents: one that addresses health care issues and another to take care of your finances. Fortunately, powers of attorney usually aren't difficult to prepare. A medical power of attorney is one type of health care directive -- that is, a document that set out your wishes for health care if you are ever too ill or injured to speak for yourself. When you make a medical power of attorney -- more commonly called a "durable power of attorney for health care" -- you name a trusted person to oversee your medical care and make health care decisions for you if you are unable to do so. Depending on where you live, the person you appoint may be called your "agent," "attorney-in-fact," "health care proxy," "health care surrogate," or something similar. Your health care agent will work with doctors and other health care providers to make sure you get the kind of medical care you wish to receive. When arranging your care, your agent is legally bound to follow your treatment preferences to the extent that he or she knows about them. To make your wishes clear, you can use a second type of health care directive -- often called a "health care declaration" or "living will" -- to provide written health care instructions to your agent and health care providers. To make this easier, some states combine a durable power of attorney for health care and health care declaration into a single form, commonly called an "advance health care directive." For more information about preparing documents to direct your health care, see the article The Living Will and Power of Attorney for Health Care: An Overview. A financial power of attorney is a power of attorney you prepare that gives someone the authority to handle financial transactions on your behalf. Some financial powers of attorney are very simple and used for single transactions, such as closing a real estate deal. But the power of attorney we're discussing here is comprehensive; it's designed to let someone else manage all of your financial affairs for you if you become incapacitated. It's called a "durable power of attorney for finances." With a durable power of attorney for finances, you can give a trusted person as much authority over your finances as you like. The person you name is usually called your "agent" or "attorney-in-fact," though he or she most definitely doesn't have to be an attorney. Your agent can handle mundane tasks such as sorting through your mail and depositing your Social Security checks, as well as more complex jobs like watching over your retirement accounts and other investments, or filing your tax returns. Your agent doesn't have to be a financial expert; just someone you trust completely who has a good dose of common sense. If necessary, your agent can hire professionals (paying them out of your assets) to help out. To learn more, see the article Durable Financial Power of Attorney: How it Works. You may wonder why you can't cover health care matters and finances in just one power of attorney document. Technically, you could -- but it isn't a good idea. Making separate documents will keep life simpler for your agent and others. For example, your health care documents are likely to be full of personal details, and perhaps feelings, that your financial broker doesn't need to know. Likewise, your health care professionals don't need to be burdened with the details of your finances. That said, even though you should make separate power of attorney documents for health care and finances, it makes a good deal of sense to name the same agent under both documents. If not, you must be sure to name people who will work well together. To learn more about durable powers of attorney, see Plan Your Estate, by Denis Clifford (Nolo). 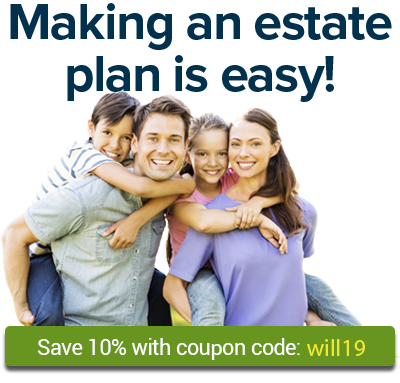 You can also create these documents with Nolo's Quicken WillMaker estate planning software.